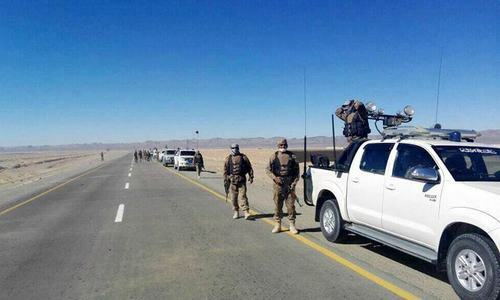 One soldier was martyred and another injured while security forces conducted an intelligence-based operation (IBO) against the Balochistan Liberation Front (BLF) in Jhao near Balochistan's Awaran area, Inter-Services Public Relations (ISPR) said in a press release on Sunday. "Four terrorists were killed while a cache of arms and ammunition was also recovered," the ISPR said. The 24-year-old martyred soldier, Ramz Ali, belonged to Khairpur Miras. 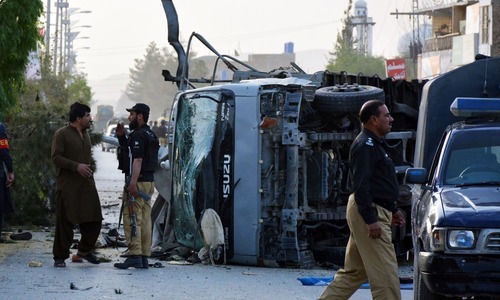 According to the ISPR, the suspected terrorists had been involved in the ambush of a military convoy earlier this year in Mashkai. Five soldiers had been martyred in the ambush. 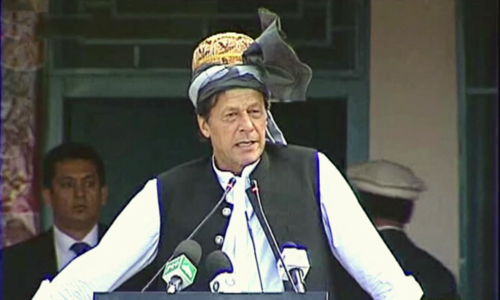 The IBO was carried out as part of Operation Raddul Fasaad, which the army launched in February 2017 in the aftermath of a fresh resurgence in terror attacks in Pakistan. Raddul Fasaad — which translates roughly to 'elimination of discord' — aims at indiscriminately eliminating the "residual/latent threat of terrorism", consolidating the gains made in other military operations, and further ensuring the security of Pakistan's borders. We pray for our brave shaheed soldier Ramz Ali. We thank all our armed forces for dealing with foreign funded and trained terrorists who come from Afghanistan but trained by our one and only life long enemy. RIP our brave soldier. We are forever indebted to your sacrifice. Ramz Ali payed the ultimate price for our security. Let this be a reminder to thise who criticize our defence forces. @Zak agree with your well written comment. @Shah criticizevfb them when they are wrong and support them when they are right!